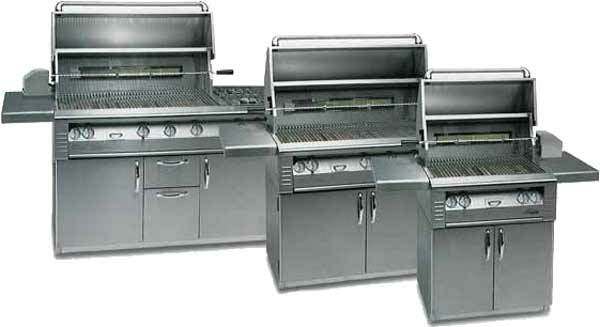 Let the experts at Pelican Grill Shops help turn your backyard into THE place to be with a new Outdoor Kitchen. 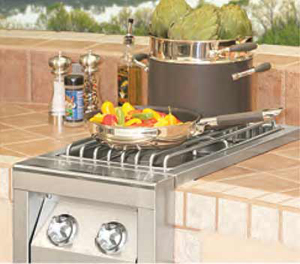 We'll help you design the perfect Outdoor BBQ Island and inspire you with many outdoor kitchen ideas. 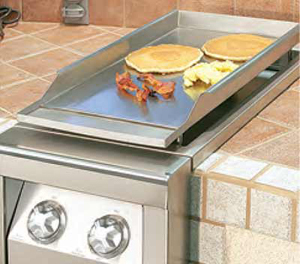 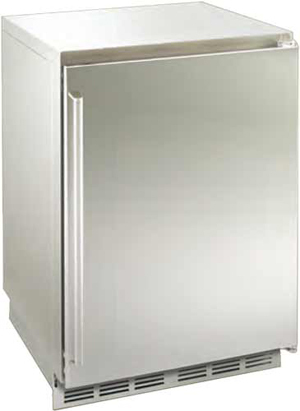 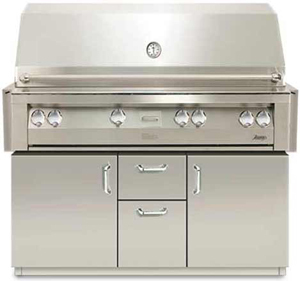 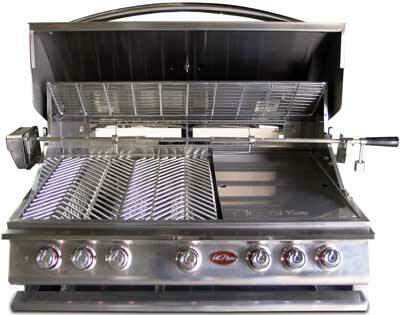 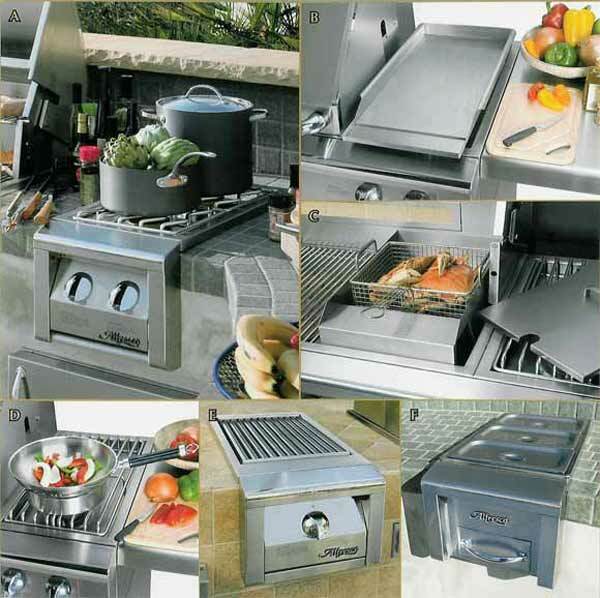 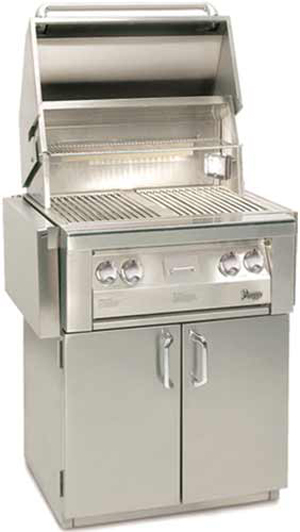 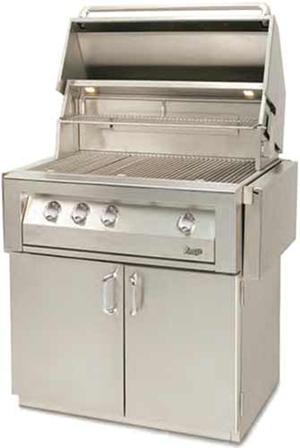 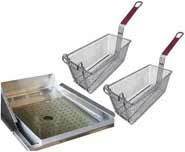 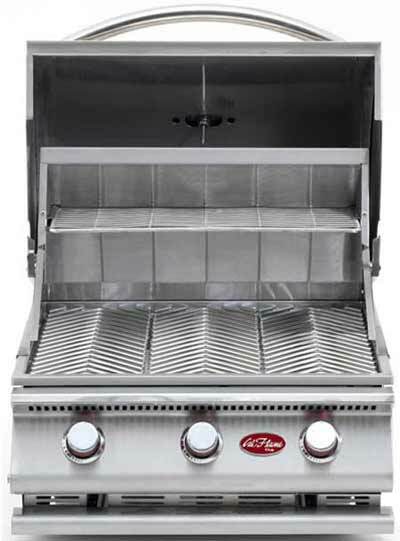 Pelican Grill Shops sells top brands of built-in BBQ Grills and Patio Kitchen appliances. 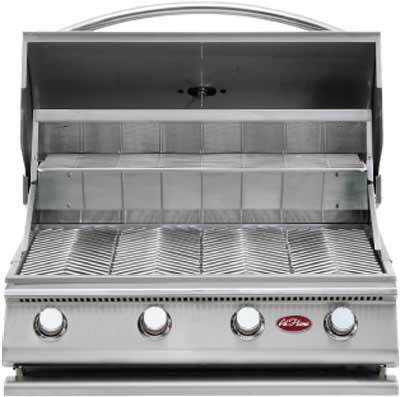 Whether you're building a brand new patio kitchen or replacing a drop-in gas BBQ grill, Pelican's experts offer a variety of high-end outdoor grilling options. 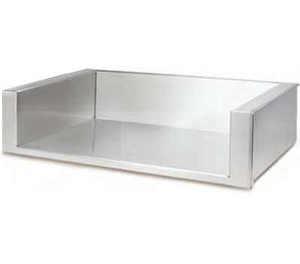 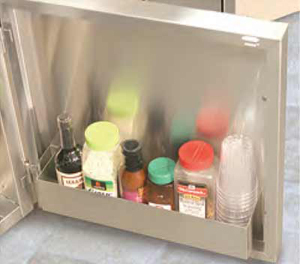 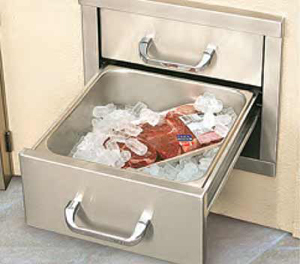 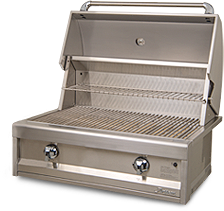 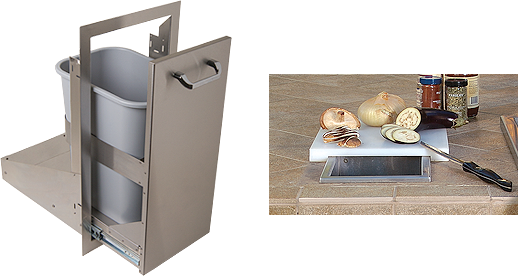 Each Cal Flame Outdoor Kitchen Grill Island begins with a sturdy metal frame constructed from commercial-grade 16-Gauge Galvanized Steel and finished with the cooking equipment you've selected. 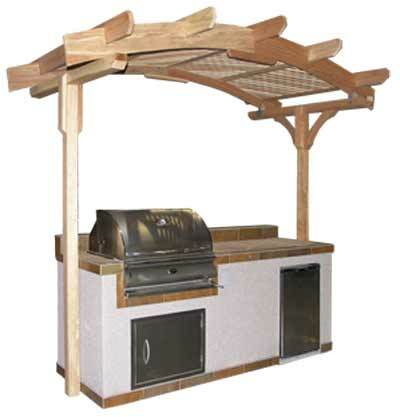 Cal Flame Cabanas create an elegant accent to your favorite outdoor seating area making an ideal complement to your outdoor patio or garden. 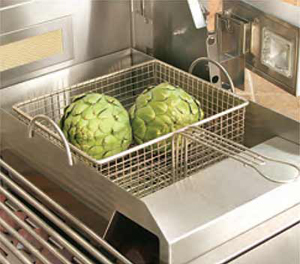 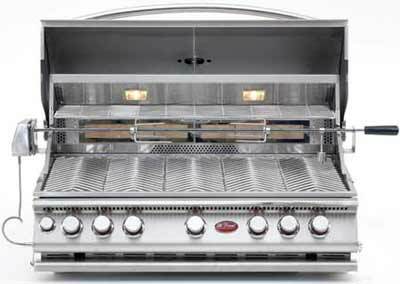 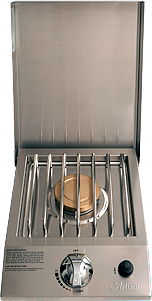 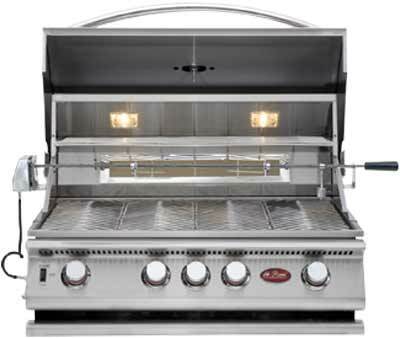 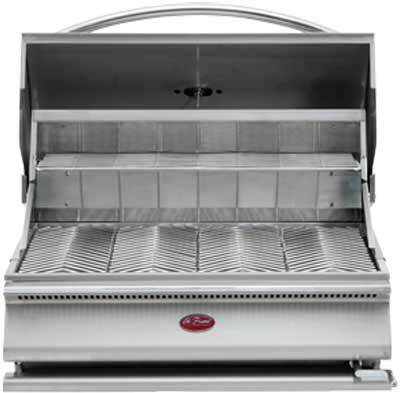 Cal Flame's G Series Grills are perfect heavy-duty grills, and each P-Series Grill is crafted using 304-stainless steel and includes signature features such as cast stainless steel burners with independent ignitor switches and heavy duty V-patterned grates on a large cooking surface. 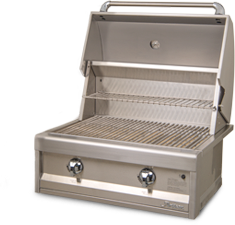 Convection cooking uses high-velocity fans to distribute hot air throughout the entire cavity of the grill when the grill hood is shut. 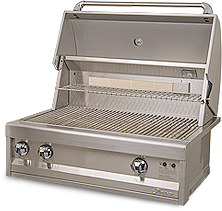 Cal Flame is the first and only manufacturer to offer you the commercial-grade equipment to build a true outdoor kitchen. 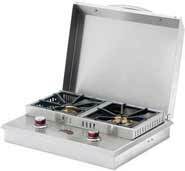 The very best in stainless steel grills and cooking peripherals can now be yours. 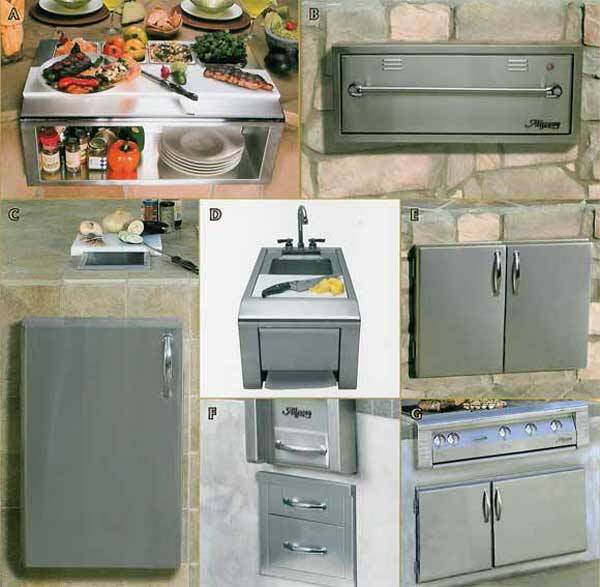 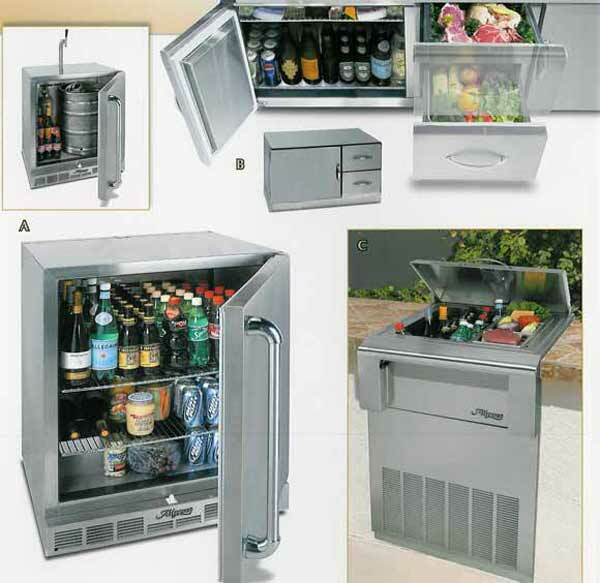 Side burners, food warmers, and outdoor refrigerators eliminate the need to run inside and keep you where you want to be the most; At the grill! 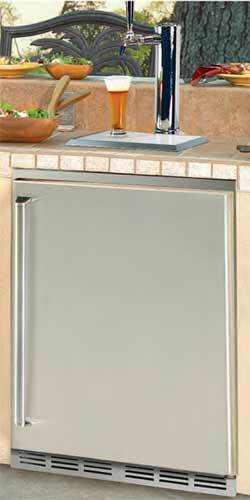 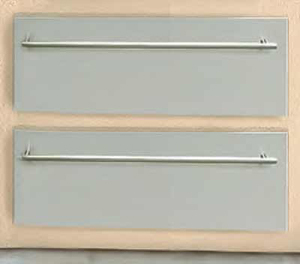 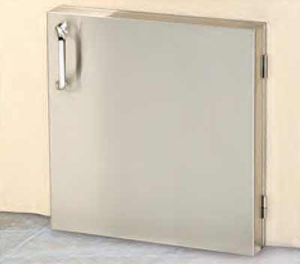 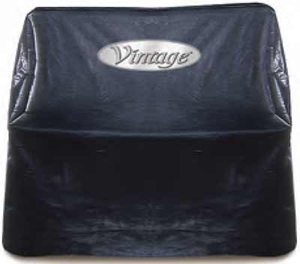 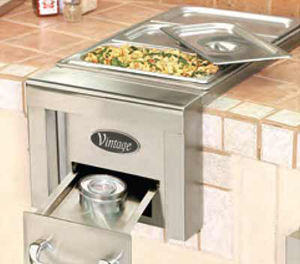 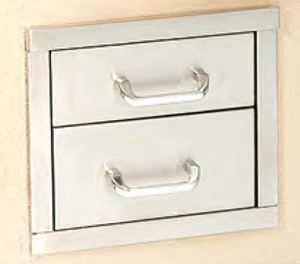 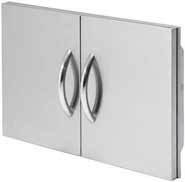 Welcome to Vintage Custom Grills, the industry leader in Ventilation Technology and Innovation. 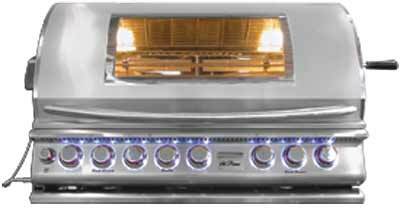 Prestige has assembled a team of professionals with over forty years of experience in product design, manufacturing, and marketing. 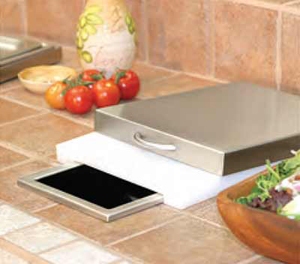 This dedicated team has developed a full line of the highest quality, commercial-grade ventilation systems for your home. 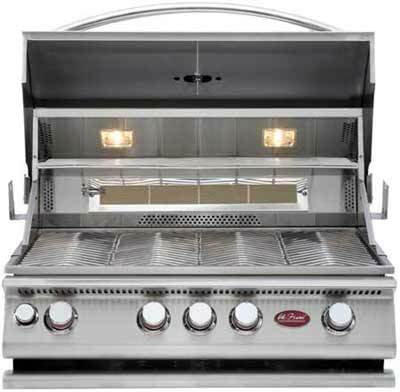 Before Artisan, your choice for an outdoor kitchen came down to premium American-made brands at a high cost, or much less expensive (and much lower quality) imports. 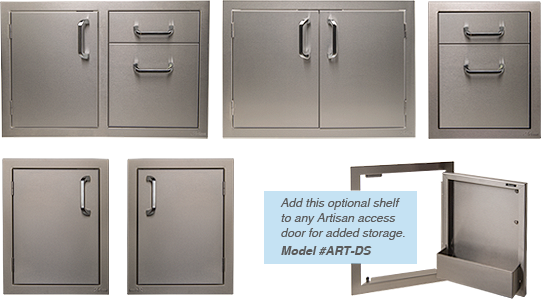 At Artisan, we strive to offer affordable luxury with all the quality and features you expect in premium American-made appliances and accessories, at prices normally only imports can offer. 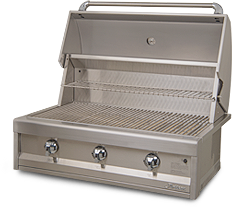 All of our BBQ grills are available in free-standing cart models, allowing you to configure your outdoor kitchen exactly the way you want with the many options available from Artisan Custom Grills. 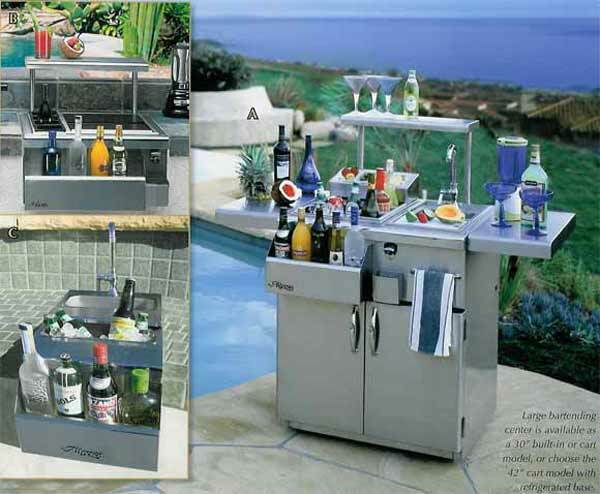 Imagine your backyard transformed into your favorite resort getaway. 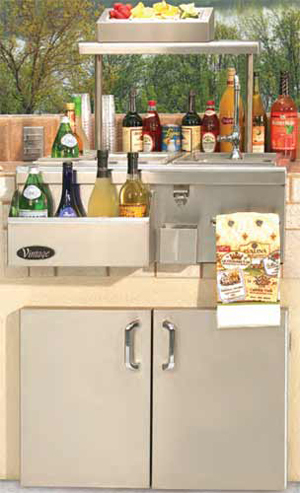 Think of the time well spent with family and friends, the food, libations, and fun. 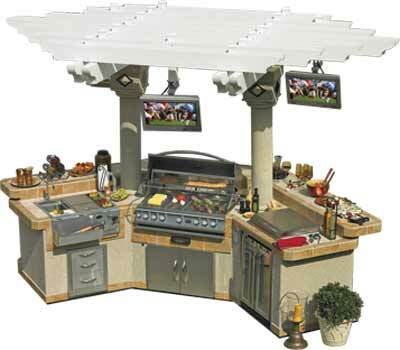 It's no surprise that Alfresco can make your imagination a reality.